Pro Tip: "Use the Cyzmic CS around the outside and garage. The PT 211L is really good inside because it sprays into cracks and crevices with its crack and crevice tip. This is important because in many cases spiders hide under furniture, fire places, window sills and staircases. When using PT 211L make sure the can is upright or close to upright. If sprayed up side down you will not be able to empty the can. " Cyzmic CS is a suspended insecticide concentrate that provides a long residual. It not only kills spiders but kills a wide spectrum of insects. 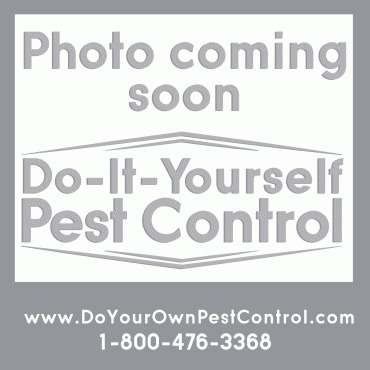 The PT 211L has a broad label for a variety of insect control. This aerosol is long-lasting and has a quick knockdown, with a low odor. The PT 211L Aerosol is an all-purpose, broad spectrum residual insecticide and it is convenient to spray in areas where a water based product can not reach. Use the Czymic CS as a residual liquid spray on the outside. It has little to no odor and adheres very well to surfaces. Use the PT 211L Aerosol with its crack and crevice tip to cracks and crevices both inside and outside. Spray where spiders or spider webs have been found. D-Fense Dust will stay in place six months to a year. A convenient way to put this powder in specific locations is with a duster head. Place the D-Fense Dust on the duster head. The Webster Duster head fits on any standard pole that fits on a mop handle or push broom. It not only kills spiders but kills a broad spectrum of insects. 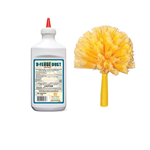 The D-Fense Dust may be used in a variety of dusting situations with a standard duster..
D-Fense Dust- 1 lb -Used primarily on the Webster brush for spider control, but can be used in a hand held duster. One application last 3-6 months. Webster Cobweb Duster Head-Used to clear cobwebs and to distribute the D-Fense Dust. Mix the Cyzmic CS at the rate of 0.8 oz (the strongest rate for spider control) in one gallon of water in a lawn and garden pump sprayer. At this rate, Cyzmic CS 8 oz will yield 10 gallons. Spray about 3 feet up the foundation and around doors, windows, utility penetrations and other areas where insects can enter or hide. Spray this around the perimeter of the house and inside, where you have seen insects and spiders. Since this all-purpose insecticide kills many insects, it will help diminish the natural food source of the spiders around your house. Place the crack and crevice tip on the PT 211L and spray cracks and crevices where you have seen the spiders crawling. Dust the D-Fense Dust on the Webster brush head. Use the brush in areas where there are spider webs. Once the webs are on the brush, the D-Fense Dust will adhere to the bristles more readily. Typical areas of dust for spider control are in the porch, garage and basement areas. Use the brush head with the D-Fense Dust in the corners where wall meets wall and wall meets ceiling, and dust around the windows. Note: The Webster Duster head is not shipped with a pole because of shipping constraints. You can find a standard pole at your local hardware store. Apply D-Fense Dust in areas such as attics and light switch plates. Dust in hidden recessed areas where liquid sprays are not feasible to spray. D-Fense Dust will last up to 12 months. Use the Cyzmic CS around the outside and garage. The PT 211L is really good inside because it sprays into cracks and crevices with its crack and crevice tip. This is important because in many cases spiders hide under furniture, fire places, window sills and staircases. When using PT 211L make sure the can is upright or close to upright. If sprayed up side down you will not be able to empty the can. Mix: 0.2 fl. oz. (6 ml) to 0.8 fl. oz. 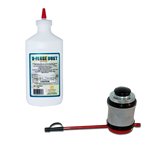 (24 ml) for average use in a pump up sprayer for general household pest control . Excellent product! Got rid of my pesky spiders with just one application. I had a problem with spiders this year for some reason. There were a lot around and inside the house: Orbweavers, Grass Spiders, and house spiders (mixed with a few other types). I started by using the Zenprax in the basement and spot treating the other floors. This seemed to kill a bunch of spiders, centipedes, along with a few stink bugs and earwigs that found their way inside somehow. A few days later, I mixed up the D-fense SC in a sprayer and sprayed around the house, hitting around the windows/doors and all along the foundation. When I got to the front porch, I was greeted by a few large orbweavers, a bunch of moths, and a bunch of earwigs. This was a problem area because we leave our front porch light on at night. After spending 15 minutes hitting every area I could think of, I moved on. I haven't had a problem with any bugs anywhere since this application (about 4 months since I applied it). What I love about the D-fense SC is that it doesn't kill right away. The benefit of that is that I don't have to sweep up bugs from around my door - most bugs move on and die out in the yard somewhere. I just came inside from a second application as a prevention measure, this time using the D-fense SC inside and outside - I'm sure this will last through the winter and into the spring without issue. I'm very happy with my purchase.